TYLER, Texas, February 5, 2019 – In a unique collaboration highlighting two beverage legends, Spoetzl Brewery, brewer of Shiner Bock, and Kiepersol Winery announce their collaboration on two upcoming beverages. One hundred Kiepersol wine barrels traveled to the Spoetzl Brewery to age the beer that is now Shiner Brewer’s Pride Rosé Pale Ale. This wine inspired ale uses grape must during fermentation imparting an earthy fruitiness accentuated with wine-like dryness. It was then aged in the Kiepersol wine barrels for a complex and refreshing final flavor. The limited release Rosé Pale Ale will be available in local stores March through June of 2019. 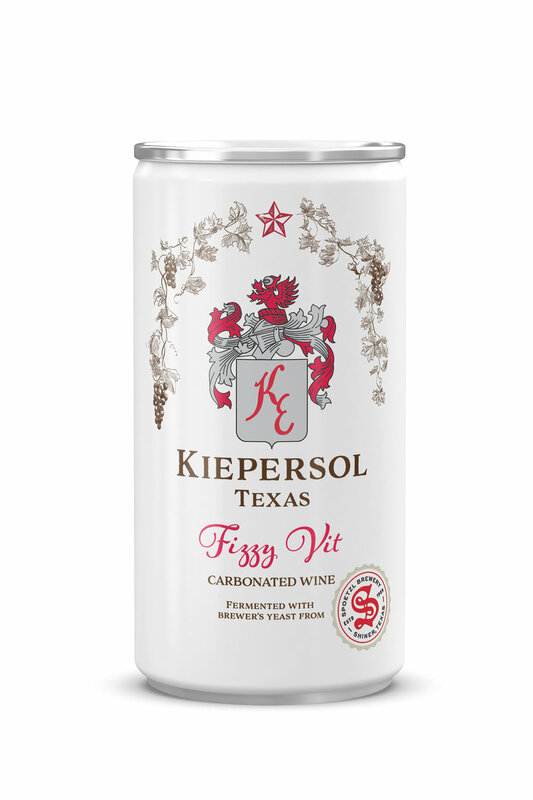 To follow up the new beer venture, the two icons pair again as Kiepersol has produced a carbonated white wine named “Fizzy Vit” where the fizz in the can is courtesy of yeast from none other than Spoetzl Brewery in Shiner, Texas. The semi-sweet Fizzy Vit will be available in March 2019 in 187ml cans with a clean, distinctive white label. Kiepersol is a food, wine and spirits destination outside Tyler, Texas featuring a chophouse restaurant as well as wine and spirits tasting rooms, an upscale RV park and event facilities. Since 2000, Kiepersol has been producing award-winning estate-grown Texas wines from sixty-one acres of European grape varietals. Celebrating 20 Years in the Making, visit www.kiepersol.com for more information. The Spoetzl Brewery - named after brewmaster Kosmos Spoetzl - was founded in Shiner, Texas (population 2,069), in 1909, brewing beer with old-world traditions and recipes for the many German and Czech settlers in the state. Since then, the brewery has grown to be one of the leading independent craft brewers in the country. But every drop of the award-winning beer is still brewed right where it all started 109 years ago. Visit www.shiner.com.